An intern who gained Internet fame for an ill-timed nap is making the most of the sudden attention. Eduard Paraschivescu, a student at Concordia University in Montreal, was only on his second day at software engineering firm GSoft when he nodded off at his desk. 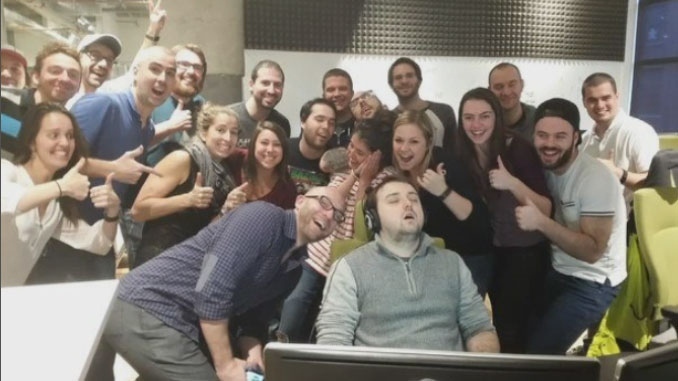 His co-workers quickly noticed the dozing intern, and decided to have a little fun. "Apparently for the entire 25 minutes I was sleeping, they were laughing," Paraschivescu said. "They were dropping boxes next to me. Someone apparently checked my pulse." Then, the office gathered around him for a group photo. When Paraschivescu woke up and realized what had happened, he said he put his hands in front of his face, embarrassed. 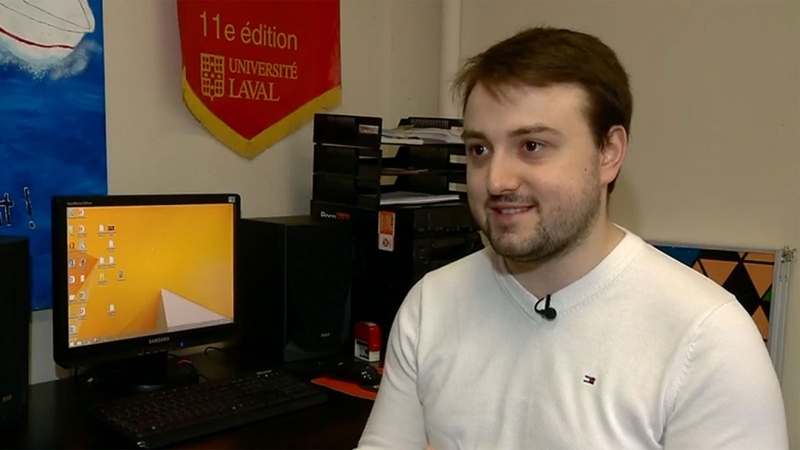 "I'm like 'I don't know how I'm going to get out of this,'" he told CTV Montreal. "I could have done a million other things to get known at the company, other than that." Once he regained his composure, however, Paraschivescu embraced the incident. He posted the group photo online and it quickly went viral. Reddit users shared the photo in a forum called "Photoshop battles," and from there, photo editors cut and pasted the sleeping intern onto a variety of creative backgrounds: from the Oscars to a scene from the Simpsons. Paraschivescu, who says his anemia makes him fall asleep easily, is now taking his sudden fame in stride. He's hoping to fund a line of humorous t-shirts promoting sleeping at work. He also said his employer and co-workers have been good natured about the incident. "It's one of their company statements, having fun at work," he said. As for whether he plans to fall asleep on the job again, Paraschivescu said he's taken precautionary measures. "I've got a half case of Guru (energy drink) on my desk," he said. "All the caffeine I need." This photo, taken after Eduard Paraschivescu fell asleep at work, has turned the Concordia student into an Internet star. Eduard Paraschivescu, an intern at GSoft, described nodding off at his desk on his second day at work.